With Autumn fast approaching and Christmas parties not being far off either, wearing lace will be becoming more popular in the coming months. For me, it's a personal favourite all year round and I wanted to share my tips for how to style the classic lace dress. Choosing a lace dress that you feel most comfortable is key. There's so many styles to choose from, including spaghetti strap, strapless and even dresses with short sleeves like the one I'm wearing. I also find it useful to check the material underneath the actual lace is good quality. There would be nothing worse than the material ripping open and your skin being revealed underneath the lace! With black lace, it can look rather bare without any jewellery or accessories to accompany the outfit. For that reason, I always recommend picking key pieces to style the dress with. In this outfit I have chosen a pair of pearl earrings, my Hugo Boss watch and my DKNY handbag. I have always believed that shoes finish any outfit. For an evening out, pair your lace dress with some classic black heels but keep them subtle and not too overpowering, as this will detract from the lace design. The shoes I'm wearing have a small Jewel on them but this simply adds a bit of sparkle. Do you have any lace dresses? 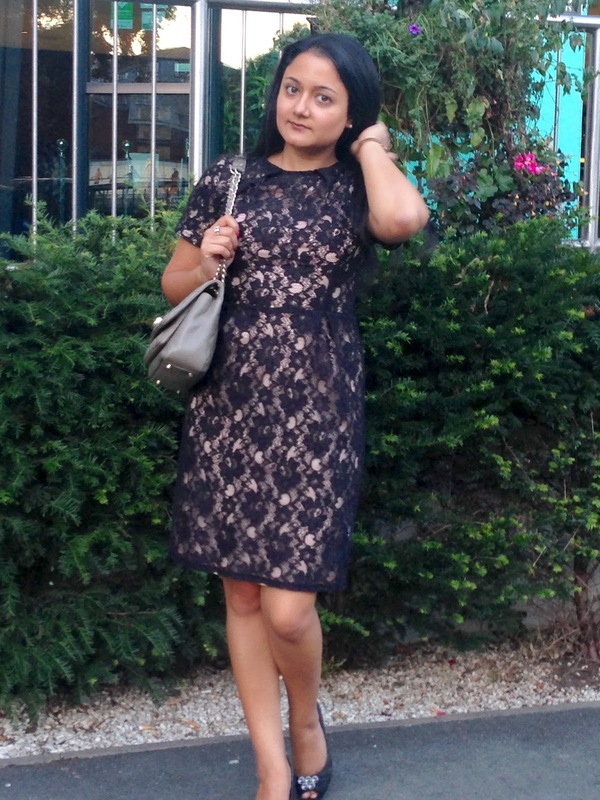 How do you like to style a classic lace dress?